I’ve noticed this before but never asked. I sometimes have what looks like a thin layer of film on top of the water in the salt water. Is this common? Usually I notice it 2 days after changing it out but this time I noticed it within a day. Just wondering why it happened so quick this time. Sure wish all my crabs were topside so I can get their new pools w/bubblers in!!! So, I was just reading on THCP that because I have well water, despite using Prime, when I make the salt water it could potentially be harmful because I have a softener system. Thoughts? They recommend distilled water. Now I’m confused as what to do. Obviously it’s easier for me to use my water and treat it etc but if because I have a water softener it could be harmful it has me wondering if I should just start buying distilled jugs or use from my water cooler and treat it. Do you have anything to treat the water? We use Seachem Prime. It's about $8 at petco for a big bottle, and it lasts a while because it's only 1 drop per gallon..
someone else on another thread for the same forum said that laying a papertowl on top and then picking it up usually gets rid of the film. i'm sorry that i can't be of more help! my boyfriend is the aquarium expert so i'll ask him when he gets off work. He asked what's in your softening system? The film is usually bacterial growth. I know a lot of people who use a softening system and don't think twice about it. 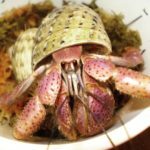 It replaces magnesium and calcium (which is good for the crabs) with sodium. While in theory this can lead to too much sodium in the water (with crabs, their freshwater would be more of an issue than their salt) the levels are usually so small it doesn't change much. ciaraalston wrote: He asked what's in your softening system? It’s a standard softening system that uses salt pellets. There is also an iron removal tank because we have high iron content in our well water. I DO use Prime to treat both fresh and salt water...no bubblers yet..that’s a future plan when all my crabs are topside. It’s just the salt water pool that gets the film, not the fresh water and that’s what had me concerned. I usually change both every other day. So I changed the salt water last night and by tonight there is that film so I took a picture. The fresh water does not have the film. Regardless, I bought a couple of distilled jugs and am going to try the saltwater with that and see if it makes a difference. fandt94 wrote: So I changed the salt water last night and by tonight there is that film so I took a picture. The fresh water does not have the film. Regardless, I bought a couple of distilled jugs and am going to try the saltwater with that and see if it makes a difference. 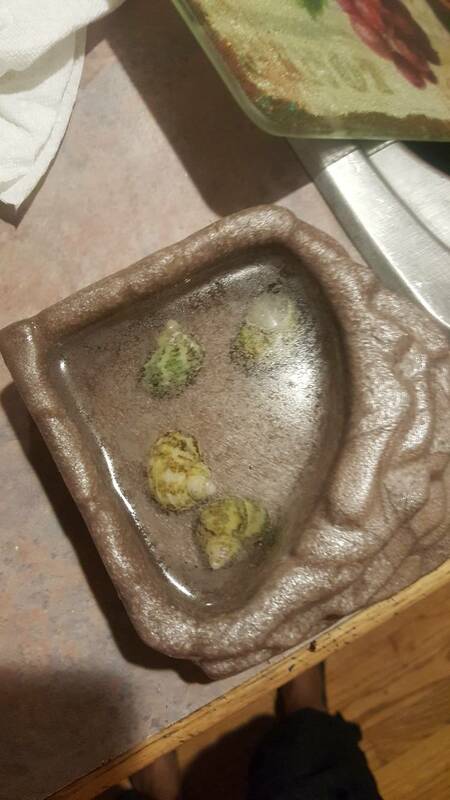 Does it happen to the bowls without shells? It could be dirt/oil from the shells... maybe take them out and see? 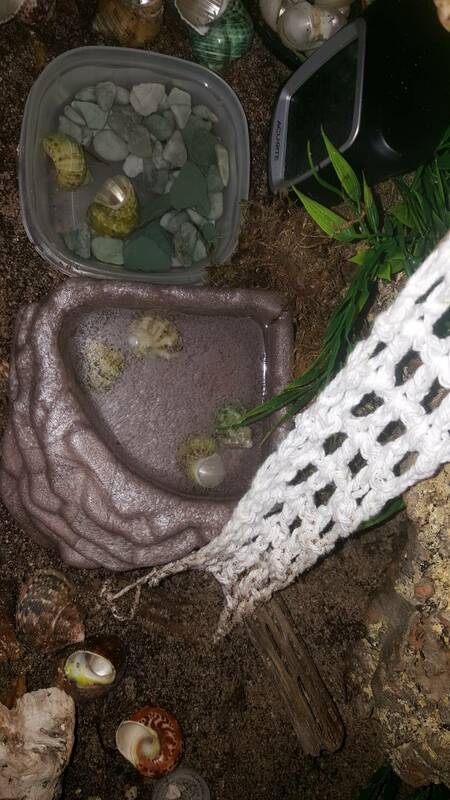 Hmmm...didn’t think of that since those shells are always in there for my little guy to have a claw hold...I always rinse them when I change the water too. It’s just got me so confused as to why it’s just the saltwater, not the fresh water. I changed out the salt water a bit ago and used distilled saltwater instead to see if I get the same film. At least then I will know it’s something to maybe do with my well water possibly and I will just start using spring water (treated of course) from our water cooler. I will wait and see if a film appears and then try taking out the shells next water change and just use some stones I have...it’s just has me so boggled! I had that film when i used stones in mine.... I boiled them and after that i never had any issues! ciaraalston wrote: I had that film when i used stones in mine.... I boiled them and after that i never had any issues! So, after using the newly made salt water using distilled water I don’t have the film in the salt water pool (yet). I’m thinking that the film had something to do with using dechlorinated well water. Now, I use dechlorinated well water for the fresh pool and no film ever in there. Strange. My new question is, because distilled has nothing in it, is it ok to use just for the salt water pool?